Megan Wiles will replace Greg O’Connor as the new president of the Noblesville Common Council following a vote during a reorganization meeting held earlier this week. Chris Jensen was elected as vice president. Wiles began her first term on the Noblesville Common Council in January 2016. A graduate of Noblesville High School, Wiles earned a Bachelor of Science from Ball State University. She works as executive director of the Riverview Health Foundation and previously served as president of Legacy Fund the Community Foundation for Hamilton County for more than eight years. “I am looking forward to continuing the efforts the mayor, council and staff have initiated this past year. We have several major projects that were introduced in 2016 and the council is looking forward to seeing significant progress made with each of them as they will continue to benefit our community,” Wiles said. Wiles is the representative from District 6, which includes a large portion of the east side of Noblesville – Stony Ridge, Sagamore, Chapel Woods, Stony Creek Highlands, Deer Path and the business areas of Stony Creek Marketplace and Hamilton Town Center. 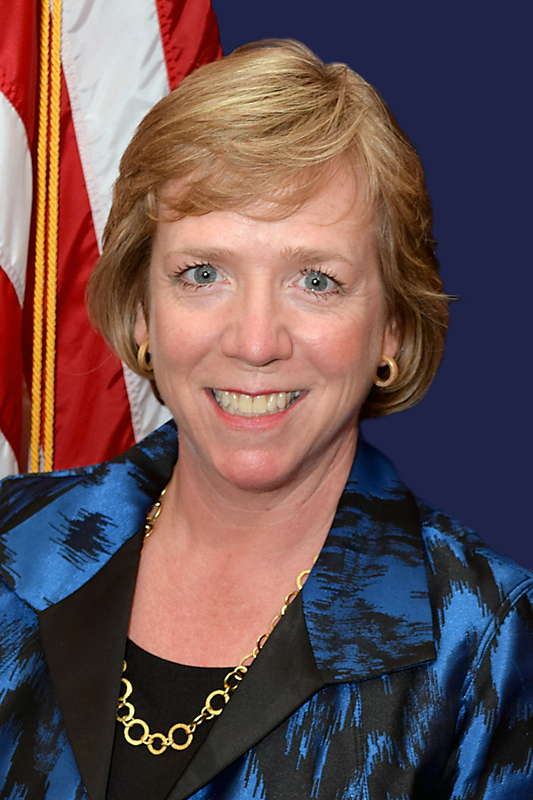 During her first year on the council, Wiles served on the finance, parks and economic development committees and served on the Noblesville Plan Commission. Building/Land Acquisition (as needed) – Brian Ayer (Chair), Mark Boice, Wil Hampton and Roy Johnson. Downtown District – Megan Wiles (Chair), Brian Ayer, Mary Sue Rowland and Rick Taylor. Economic Development – Wil Hampton (Chair), Chris Jensen, Greg O’Connor and Megan Wiles. Finance – Greg O’Connor (Chair), Chris Jensen, Roy Johnson and Megan Wiles. Parking Task Force (as needed) – Roy Johnson (Chair), Brian Ayer, Mary Sue Rowland and Rick Taylor. Parks – Mary Sue Rowland (Chair), Chris Jensen, Greg O’Connor and Megan Wiles. Public Safety – Rick Taylor (Chair), Mark Boice, Wil Hampton and Mary Sue Rowland. Road/Traffic/Engineering – Chris Jensen (Chair), Brian Ayer, Mark Boice and Wil Hampton. Wastewater – Mark Boice (Chair), Roy Johnson, Greg O’Connor and Rick Taylor. Nominating – Megan Wiles (Chair), Greg O’Connor and Rick Taylor.